SureSafe 24/7 Connect offers complete monitoring for you or your loved one, providing instant access to emergency response services whenever you need it. We offer one of the best and most responsive personal alarm systems in the industry, empowering you or your loved one to live life more confidently and independently, no matter your condition, age or disability. The SureSafe 24/7 Connect system integrates a SureSafe personal alarm with our 24/7 monitoring service, giving you complete coverage and assistance at any time and any place. It offers the best of both worlds for every owner, combining comprehensive monitoring with unrestricted mobility and portability. See our broad range of options of devices and personal alarm devices for our SureSafe 24/7 Connect system. If you need more information, please don’t hesitate to contact our team. Full Independence. SureSafe 24/7 Connect gives you or your loved one the ability to live your life the way you want. It can monitor you anytime and anywhere, which means you’re free to live your life with minimal restrictions and constraints. This ability to go practically anywhere you want without sacrificing protection is what turns many of our clients into lifelong fans. 24/7 Monitoring. Each SureSafe personal alarm device that’s integrated into our SureSafe 24/7 Connect system provides full monitoring so that you have complete peace of mind. It ensures you or your loved one will always have access to emergency response services, no matter where you go and what time of day it is. Our 24/7 coverage guarantees that you can always get the help you need when you need it most. One-Touch Connection. Our SureSafe personal alarm devices feature one-touch access to emergency responders, giving you instant communication to the right people when you need it. At the touch of a button, we will be there. This one-touch connection ensures you or your loved one can get help as soon as possible. Personalised Service. Every SureSafe personal alarm device is tailored to your needs and lifestyle, making your transition to a more protected life easier. One of our approved SureSafe installers can come in and guide you through every aspect of your alarm system, helping you know exactly what to do when the time comes to use it. SureSafe 24/7 Connect is a monitored personal alarm service. A friendly voice 24 hours a day. We are there when you need us most. A SureSafe approved installer will come to your home, show you how to use and program your alarm, set it up for you and then show you how everything works. A safe way to store keys outside of your home that can give quick and easy access to friends, family and the emergency services in the event of an emergency. Get the help you need, fast… and prevent the need to force entry. Purchase an additional SureSafe 24/7 Connect pendant for someone else in your home to wear, or simply as a spare. Fall Alert Pendant. The SureSafe ‘Fall Alert’ Pendant is an advanced personal alarm device that detects falls and slips automatically, sending out an alert to the right response units even without manual activation. 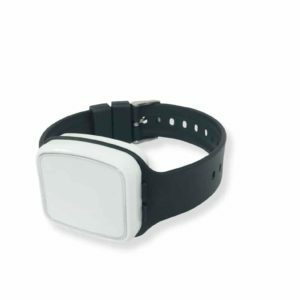 This is extremely useful in cases when the wearer passes out or becomes immobile because of a slip or fall. Spare/Additional Pendant. The SureSafe Personal Alarm Pendant gives you or loved one an extra personal alarm device that you can take with you for extra protection. These spare pendants can be fitted into a necklace or a watch, giving you different options for how you want to wear them. Our secure and durable key storage safe will keep your spare keys safe so that you’ll never have to get locked out of your home. We recommend the Sandleford Portable Key Storage Safe – a portable key storage device that you can attach to door handles, gas meters and other parts of your home. It uses a combination lock that you can set a personal number code on, giving you a secure solution for storing your spare keys. Alarm Installation & Demonstration. Customise your SureSafe system to your exact needs and preferences with our alarm installation and demonstration service. Our approved installer can guide you through each device’s features and functions, setting them up to match your lifestyle and daily routines. If you want complete coverage and instant access to emergency response services, then SureSafe 24/7 is the monitoring system for you. SureSafe 24/7 Connect provides comprehensive coverage and monitoring, allowing you to live life more confidently no matter where you are and where you go. Our personal alarm devices and 24/7 service are designed to be as unobtrusive as possible, protecting you without hindering your daily life. With SureSafe 24/7 Connect, you and your loved ones can live the life you want with more protection, security and peace of mind. Browse our selection of SureSafe personal alarm devices today, or contact us if you need more information. Australia’s #1 Provider of Personal Alarms for Aged Care, Disability and Workplace Health and Safety.